Growth in global offal and hide supply due to higher slaughter numbers – especially out of North and South America – pressured offal prices last year, while hides values suffered from a range of demand and supply pressures. A co-product market report produced by Meat & Livestock Australia shows, with just a few exceptions, that Australian offals and by-products have contracted substantially in price over the past 12 months. Arguably the worst hit has been hides values, discussed in greater detail in this earlier Beef Central report. Hides prices for different graded across eastern Australia continued to struggle, with most descriptions down a further $1 to $2/piece in December compared to the previous month across the market, including high grade Victorian hides. Year-on-year, hides prices in December fell by between 52 and 83 percent on 2017 values due to flat demand. Hides from lighter animals were particularly badly affected, with lesser quality hides out of Queensland making just $3.50 to $6 in December. Australian hides inventories continue to build, with no improvement in prices expected in the short term, the report said. Among edible offals popular in Japan and Korea, tongue prices averaged $9.38/kg in December, more than $1/kg below year-ago levels, while thick skirt was up 59c/kg year-on-year, averaging $7.04/kg. Thin skirt was 118c/kg higher year-on-year, averaging $7.24/kg. Tail prices to Korea averaged $9.84/kg in December, which was 42¢/kg below year-ago levels. Halal tails eased 51c/kg year-on-year, to average $9.33/kg. Tripe lines trended higher in December compared with a year earlier, while kidneys last month averaged 75¢/kg, 23c/kg softer year-on- year. Liver prices averaged 101c/kg in December, 2c/kg above year-ago levels, with Halal livers 3c/kg softer year-on-year, with quotes averaging 110c/kg. Among rendered products, the price for 50pc protein meat and bone meal averaged $524/t in December, down $60/t on the same time the previous year, while blood meal averaged $980/t, slightly higher than last year’s price. Tallow prices eased, with the price for 1pc FFA tallow averaging $694/t, down 14pc on year-ago prices. 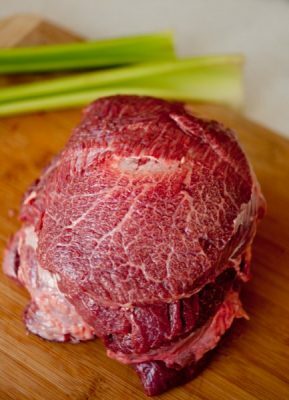 Moving against the broader price trend were head offals (cheek meat, head meat and beef lips), where prices averaged $4.15/kg in December, which was 16¢/kg firmer year-on-year and 73¢/kg higher than November. Among pharmaceutical products, foetal calf blood into Europe averaged $400/litre in December, where it has been hovering since the middle of last year, but $50/litre higher year-on-year.